I know it is snowing out this first day of spring…but there will be spring soon (I hope) and when it comes, are you ready? Now is the time to get your wardrobe together…those sneakers and totes and culotte pants along with a white jacket that can be worn with any outfit. This entry was posted on March 21, 2018, in Avon and tagged #Avon, #AvonRep, #bbloggers, beauty. You bought lipstick for only $4.99? You saw such a variety of colors? I have just recently been using lipstick because besides keeping my lips soft, I love to add a little color…..but I dont want to spend a lot for lipstick because, face it, I like to change colors often. So I put in a search on Google for lipstick just to get an idea on how much I would have to spend if I wanted at least 4 different colors….the cheapest was $24 and the most expensive I found was $90. At those prices it would cost me $96 for 4 of the cheapest; and $360 for 4 of the most expensive. 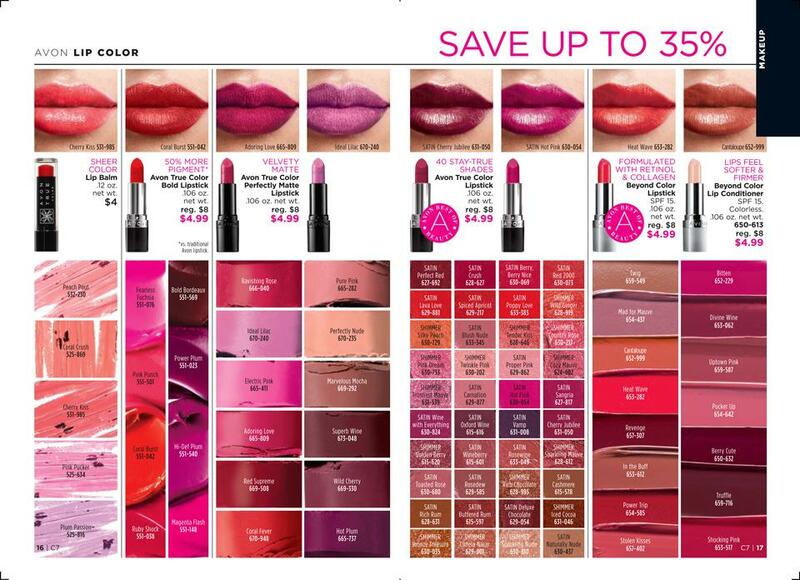 I would not spend that much on lipstick so what to do? So I went over to Avon and have found at $4.99 x 4 – my cost would be $19.96 – now doesnt that make more sense? Also, if you are not completely satisfied, Avon will take it back and refund your money (within 90 days!) Do those other companies do that? Even the local pharmacies charge more than Avon….So what is your excuse for not trying Avon? This campaign there is a variety of colors and a great price….don’t let it slip by! This entry was posted on March 1, 2018, in Avon and tagged #AvonByAgnes, #AvonRep, #bbloggers, Avon, lipstick. There is a library for books – either at your local library or online. This entry was posted on February 25, 2018, in Avon and tagged #Avon, #AvonByAgnes, #bbloggers, beauty.